PRICES ARE MARKED ON THE PICS, THESE ALL MUST GO ASAP!! 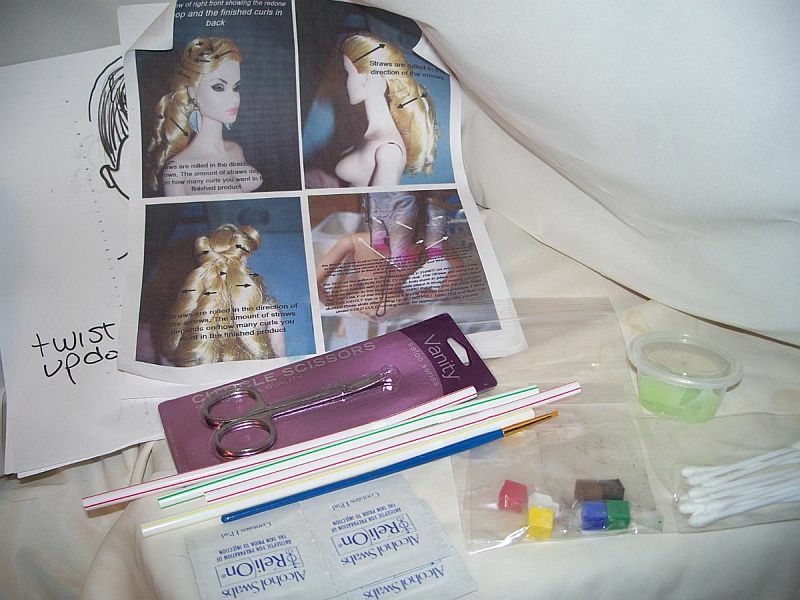 THE TWO PICS IMMEDIATELY BELOW ARE A "KIT" MADE UP FOR DOLL ENHANCEMENTS, Within the kit you get 6 pages of different styles of hair that you can do boil perms with with them showing the direction the rollers are to be rolled, You get a brand new pair of cuticle scissors for hair cutting, plastic straws for rolling hair, qtips, you get 6 samples of chalk pastels, a paint brush for using with the pastels, and a tub of hairgel and you may contact me at my e-mail for any additional help should you need it. 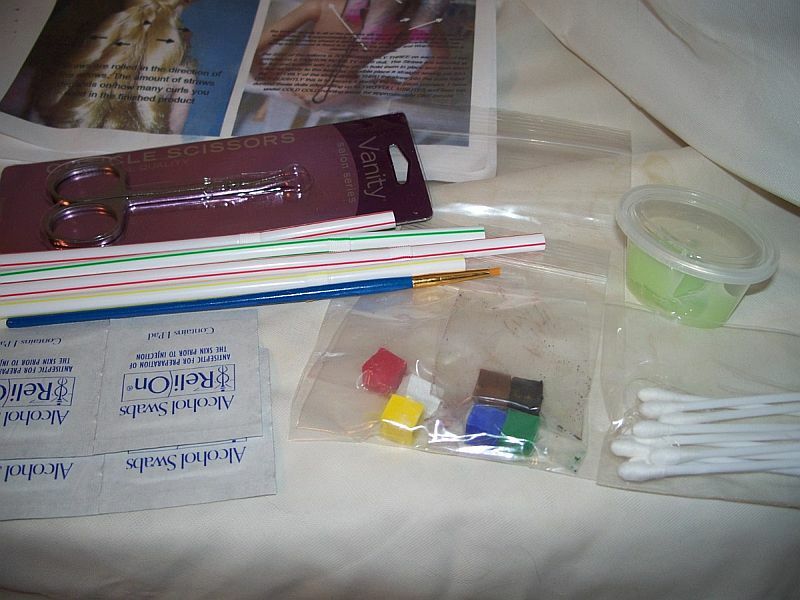 THERE ARE TEN KITS AVAILABLE FOR SALE!